O-M-freakkity freakin-G people! My first Ragnar Relay event is one week from today!! I swear I just registered for this event and now it is a week away. For those that may not know what the heck I am talking about, well let me bring you on up to speed! You and 11 of your craziest friends (or 5 of your crazier friends for an ultra team) pile into two vans and tag team running 200(ish) miles, day and night, relay-style. Only one runner hits the road at a time. Each participant runs three times, with each leg ranging between 3-8 miles and varying in difficulty. So, from the elite runner down to the novice jogger, it's the perfect race for anyone. 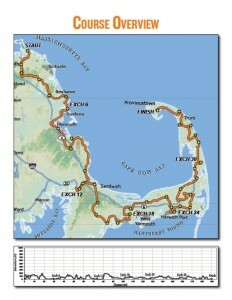 I will be tackling Ragnar Cape Cod - May 8-9 - with 11 amazing weight-loss success stories! The 12 people making up Team Running Down A Dream - combined to shed over 1,500 pounds. Amazing right? Read more about each of the fabulous members here. Now of the 11 other folks that make up this inspiring crew, I only know 1 person in real life - my girl Dacia from My Roots To Grow. And our vans will be decorated with these awesome magnets that Rik's wife designed. I mean how cool is that? To get better perspective on size, here's another shot. We will also be taking part in the "tagging" part of Ragnar, where you leave magnets on other vans. But now it is time to start making the packing list, seeing how many miles I will be logging between my 3 legs and freak the F-out. Woah what was that last one? Yeah it is freak out time. But I'm not about to start staying up all night to prepare for a night leg (if I have one). I am wicked nervous about meeting all my teammates just a couple of hours before we start - one of the biggest things giving me anxiety - but I am putting faith in the interwebs that we will all get along. I just get bogged down with those: "Will they like me?" "Will they 'get' me?" "Will they think I'm the weird sparkly girl?" "Will they wonder why the hell I keep taking so many selfies?" We've been chatting for months so I think we will be okay. But I did make sure that they assigned me whatever leg would put me in the same van as Dacia. :) So I will be Van 1 - Runner 4. I do have all my reflective gear in hand! Yes I do have a reflective Sparkly Soul headband!! 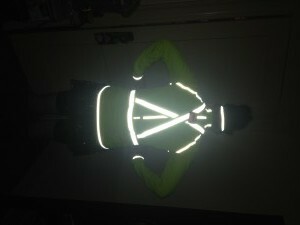 How awesome is the New Balance Glow Beacon Jacket I'm also rockin'. People won't miss me coming down the roads of the Cape! I've learned I need not 1, but 3 race outfits (1 for each leg). Time to break out the Sparkly Soul headbands and Sparkle Athletic skirts and get to business. 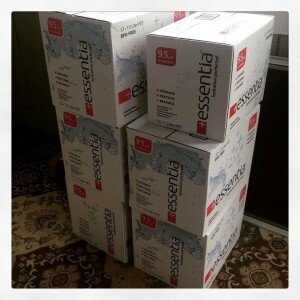 In reality, I will be getting down to blog reading this weekend to find out the must pack items. Overall, I am super excited for this new experience. If you would like to show your support for Team Running Down A Dream May 8-9 on Twitter please use hashtag #RunningDownRagnar. Oh and don't worry I will be updating you all along the way on Facebook, Instagram and Twitter! 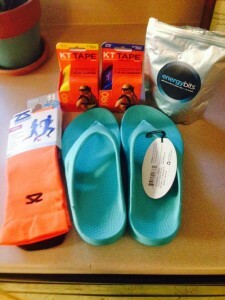 If you have done a Ragnar or relay race before, what is your #1 piece of advice?